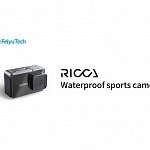 The well know gimbal manufacturer FeiyuTech is about to launch a new waterproof action camera: FeiyuTech Ricca! There is not much information available right now, but some photos and highlights were announced during CES in Las Vegas. Here’s all the info I was able to gather so far, since there is no official confirmation, it’s subject to change! In one press text “12 million pixels” are mentioned, therefor I assume it will have a 12MP sensor like most action cameras. One rendering of FeiyuTech Ricca shows F2.8 written next to the lens but unfortunately no info if it will have 170° FOV or narrower. 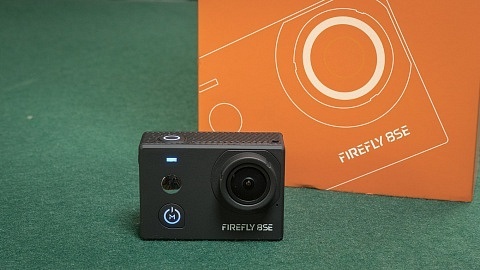 I don’t think it will be 90°, similar to the Firefly 8SE option, but maybe a bit narrower, similar to the 145° lens on Xiaomi Mijia. It is mentions that there are will be a 4:3 aspect ration resolution, but I’m not sure which one. I couldn’t obtain information if 25fps / 24fps settings will be available. 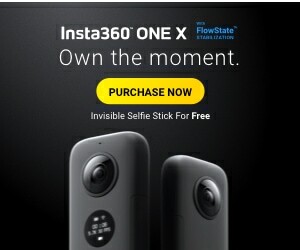 I couldn’t find any information on image stabilization so far. Since the camera will hold a 12MP sensor, the native photo resolution will be 12MP 4:3 format. Photos can be taken in .jpg and RAW format. 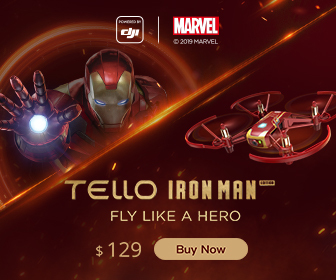 Feiyu Ricca holds a large 2,35″ touchscreen similar to Xiaomi Mijia (2,4″) and SJCAM SJ8 series (2,33″). battery capacity is stated with 1400 mAh, also comparable to mentioned competitors and it will be exchangeable. 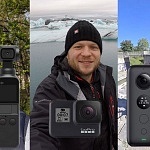 FeyiTech Ricca will feature a microUSB port, therefore the option to use the camera with an external microphone won’t be available as microUSB ports don’t allow that. Ricca supports microSD cards up to 128GB and class U3 is required for 4K recording. The new cam features Wi-Fi to connect to a smartphone app. I’m currently don’t have infos about Bluetooth. On the bottom the camera holds a 1/4″ photo tripod thread to mount the camera to accessories. 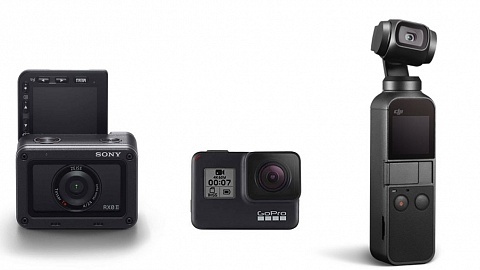 There will be an adapter for GoPro mount. FeiyuTech Ricca will be IP67 waterproof that means “protected against the effects of immersion in water to depth between 15 cm and 1 meter”. 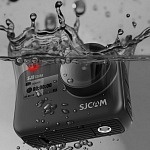 So the camera will be suitable for near water sports like surfing, but not snorkelling. The body is made of an aluminum frame and will hold 2 buttons on top of the camera. On one side there is a sliding door that holds the microUSB port, on the bottom is a door that covers battery & microSD card slot. I don’t have detailed information about the available settings and features so far. All I can tell is that Ricca will feature modes such as: time-lapse photo & video, burst, slow motion, timer & loop recording. That’s all the info I could gather so far. 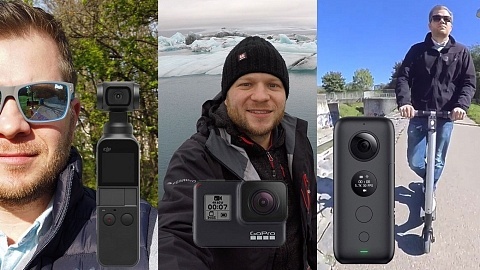 I doesn’t look like the camera can tackle GoPro Hero7 black. 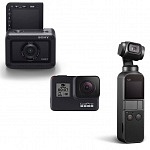 If the price is right it could be an interesting camera for occasional action camera users. 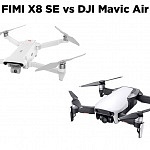 FeiyuTech Ricca seems comparable to YI 4K or Xiaomi Mijia, with the additional feature of being waterproof/splashproof and should put them in the 100 USD camera category.